Jacob from Mesquite, Adam from citrus heights & 16 others bought this item recently. The brand New One Hit Wonder Rocket Man 100mL featuring TruNic 2.0 Nicotine Salts is on it’s way to us and should be here by Friday Feb. 2nd. This new E-Liquid will last longer, have a smoother throat hit, & has a higher Nicotine absorption rate. The Original Rocket Man was a huge hit and this redo is only going to be better. We will only be carrying the 3mg strength for now but if you want a different mg let us know and we will get it for you. This flavor consists of a lightly tart Greek yogurt, fresh mountain blueberries, & savory granola. It’s the perfect mix of each ingredient and with this new Salt Nicotine you will definitely love it. 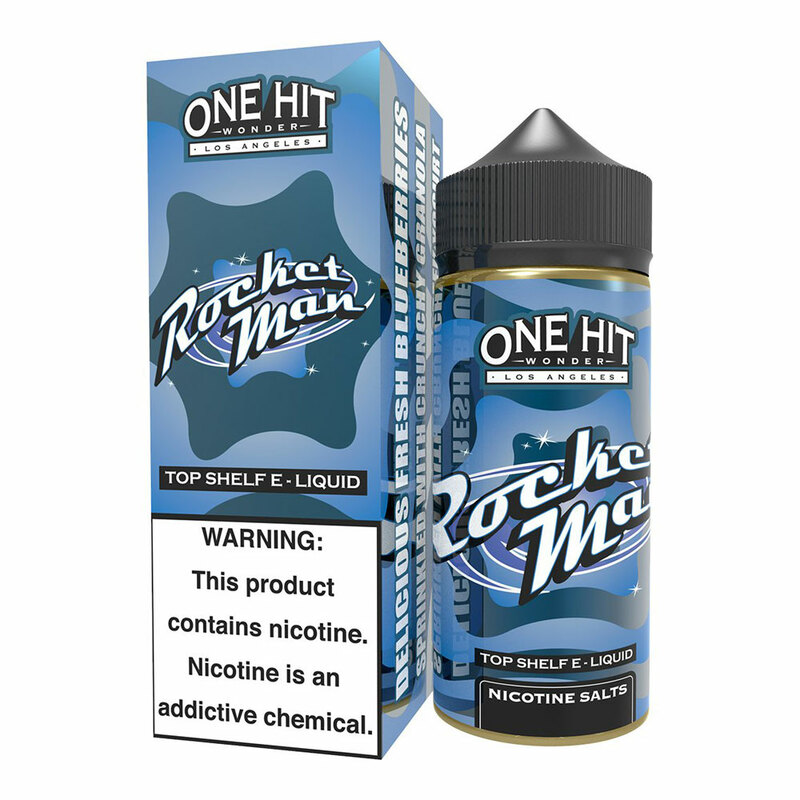 New Box & Bottle of Rocket Man 100mL Nicotine Salt make sure to get your Order in sooner rather than later.